BRAND NEW 2018 Clayton Home! 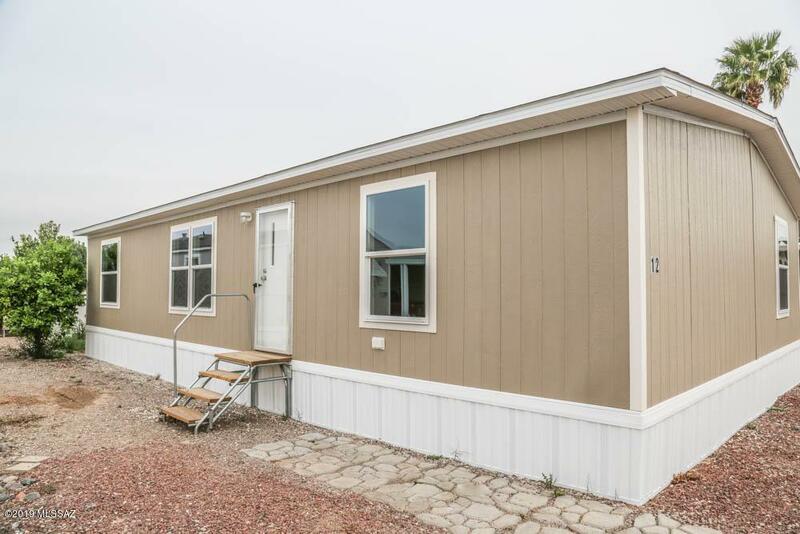 Spacious layout with 3 Bedrooms and 2 Bath, 1232 sq ft. This home is move in ready and comes fully stocked with a refrigerator, stove, dishwasher, washer/dryer hookups and central air! 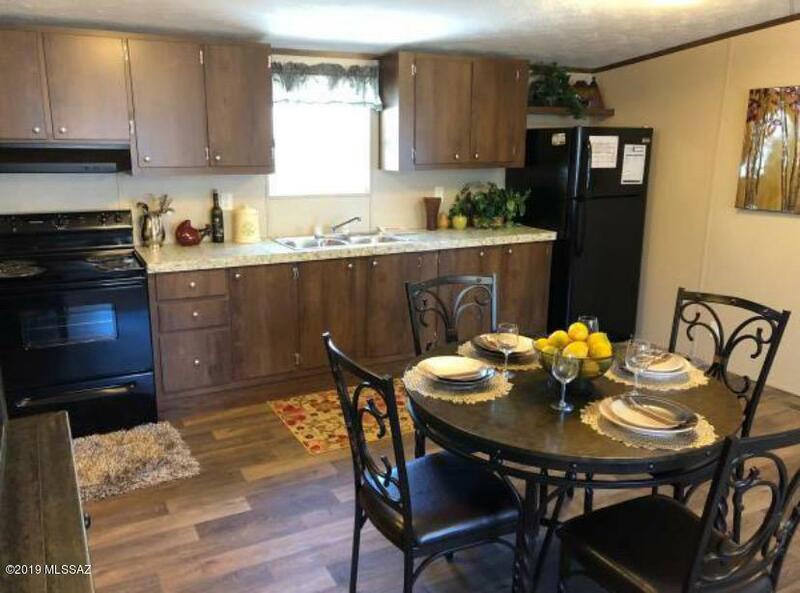 Covered parking, low care landscaping, soak in your garden tub in the masterbath or enjoy all the benefits of living in +55 Mobile Home Park. 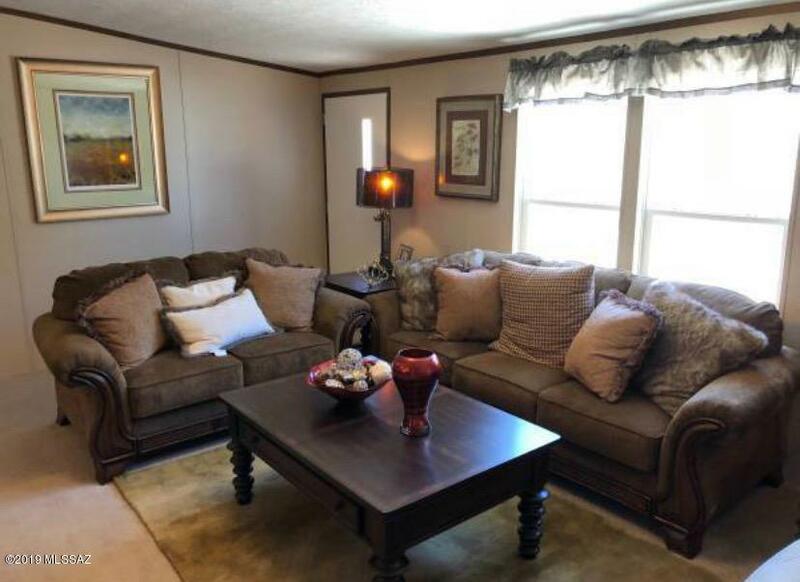 Located in Valley of the Sun Mobile Home Park in Marana, you can be assured a full time management team is taking care of the park. Space Rent is $410.00. Prime lot in park. Beautiful swimming pool & spa, clubhouse & recreation enter, 24 hour laundromat, billiards & card room, bocce ball count, shuffleboard and poolside cabana & BBQ grill. 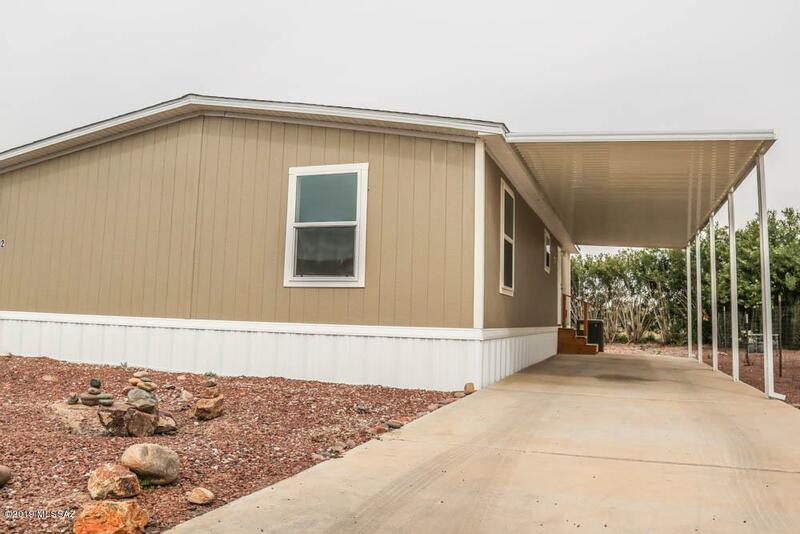 Don't miss out on this brand new home in Valley of the Sun Mobile Home Park. Courtesy of Snl Realty And Rentals, Llc. Listing provided courtesy of Snl Realty And Rentals, Llc. Listing information © 2019 MLS of Southern Arizona.